Everyone has done it. You’ve reached into a bag of chips just to realize that it’s completely empty. That’s when you realize that you’ve been eating too much. Overeating is something everyone does from time to time but, for some people, it is a constant problem. It is especially problematic when you don’t realize you are doing it. You may only notice when you step on the scale and see a number higher than you were expecting. But how do you stop eating too much if you don’t always realize you’re doing it? 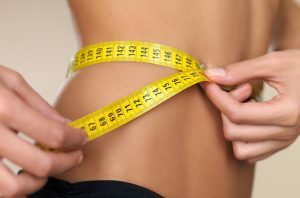 In this article, you’ll receive an in-depth look at the problem of overeating including some of the most common causes. You’ll also receive a list of 10 simple, natural ways to stop eating too much. So, if you’re ready to take back control over your appetite, just keep reading! 2. What Causes You to Overeat? 3. Summary: Why Should You Be Concerned About Overeating? All you have to do is set foot in a fast food restaurant to realize that, in the United States, overeating is part of the culture. After all, every menu item comes with the option to upgrade to a larger size. Furthermore, some meals contain your entire daily recommended dose of calories. Another sign that eating too much is the norm is the rise in obesity. According to the National Institutes of Health (NIH), more than 1 in 3 American adults are considered overweight and another 1 in 3 are considered obese. The problem isn’t just limited to adults, however. As many as 1 in 6 children between the ages of 2 and 19 are obese. Not only has the NIH identified obesity as a problem of epidemic proportions, but they have also identified some of the most causative obesity factors. These include genetics, poor eating habits, excessive screen time, physical inactivity, medical conditions, limited access to healthy foods, and various lifestyle habits that promote weight gain. So, it is undeniable that eating too much is a common problem. But what causes it? Keep reading to find out. What Causes You to Overeat? When you feel sad or stressed, do you tend to drown your sorrows in food? Emotional eating is very common and, for many people, it becomes a self-perpetuating habit. If you consistently turn to food when you are feeling sad you may find yourself developing a habit of eating too much even when you aren’t hungry. Eating foods that make you feel hungry. You don’t eat enough on a daily basis. You’re stressed or hungry for something other than food. Not paying attention while you’re eating. You frequently eat large portions. Now, let’s take a closer look at each of these causes. Most people follow a similar schedule from one day to the next when it comes to things like work, sleep, and eating. If you like to wind down after a long day at work by watching a favorite TV show with a bowl of pretzels, you may find yourself following this habit even on nights when you’ve had a big dinner and you aren’t actually hungry. What you’ve done is created a mental association between TV and snacking. You might also develop a habit of eating free snacks available in the break room at work. The human body has a natural instinct to eat food when it is available. However, if you let that urge take over, you may find yourself eating when you aren’t hungry and overeating when you are. Healthy eating habits take time to develop, but unhealthy habits can set in quickly. You eat foods that make you feel hungry. You may not realize it, but there are actually foods that can make you feel hungrier when you eat them. For the most part, this includes foods with little nutritional value like refined carbohydrates, sugary treats, and artificial sweeteners. These foods can lead to a sudden spike in blood sugar followed by a crash that leaves you hungrier than ever. You’re stressed or hungry for something other than food. Not everyone who overeats is overweight. In fact, one potential cause for eating too much is inadequate energy intake on a daily basis. If you lead a very active lifestyle or if you are often too busy to eat during the day at work, your body may overcompensate when you do actually sit down to a meal. This problem is very common and it can lead to yo-yo dieting, habit of severely restricting calories to lose weight followed by a binge that makes you want to restart the diet all over again. Fun Fact: If you find yourself eating too much on a regular basis and you feel powerless to stop yourself, you may have a binge eating disorder. People with this disorder frequently eat large amounts of food to the point of discomfort. They may also be plagued by feelings of guilt, shame, or depression both during and after an episode. Many people develop a habit of emotional eating. When you are feeling stressed, mindless snacking gives you a way to separate yourself from the stress. The problem is that emotional eating can become a habit and it may be very hard to break. Another possibility is that your body is actually hungry, but not for food. If you’re having trouble processing emotions, your body may be craving relief and you confuse it for actual hunger. You don’t pay attention while you’re eating. Mindless eating is one of the most common causes for eating too much. When you’re sitting in front of the television with a bag of chips, you keep reaching into the bag until you look down and find that you’ve eaten half the bag – or maybe all of it. This can happen in other situations too, not just with TV. If you eat lunch at your desk or scroll through social media while eating, you may be distracted. As a result, you find yourself not feeling full as soon as you would if you were actually focused on eating. Portion sizes in the United States are much larger than they are in other parts of the world. So, in a way, your stomach is trained to eat more. A study published in the American Journal of Clinical Nutrition found that when portion sizes are increased, people tend to eat up to 30% more . Now that you have a better understanding of why you may be eating too much, you might be wondering if there’s anything you can do to stop it. There is! Keep reading to learn how. Unfortunately, there is no miracle cure that can immediately transform your eating habits. Changing your habits takes time and it can also take a good bit of hard work! Keep track of what you’re eating. Whether you keep a food journal or just make a mental note of everything you eat during the day, being more aware of what and how much you are eating is the first step in improving your dietary habits. Take steps to reduce your stress. If emotional eating is a problem for you, taking steps to reduce stress may help you eliminate the problem. 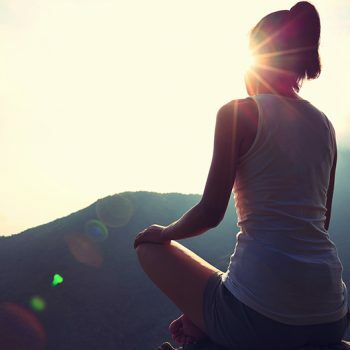 Try meditating in the morning to start your day in a better head space. You could also implement breathing exercises when you feel stressed or sad before reaching for a box of cookies. Find another outlet for negative emotions. If your overeating is linked to emotional strife, try to find another outlet. Look for a way to deal with those emotions that doesn’t involve food. Many people find that things like going for a walk or doing a quick puzzle work well to distract them from food cravings. Eat more nutrient-rich foods. Processed foods tend to be low in nutrients but high in calories so, when you overeat these foods, you compound the damage. If you fuel your body with healthy nutrients instead, however, you may be less hungry. Plus, if you do overeat, you’ll do less damage. Increase your intake of healthy fats. Though you may think of fats as the enemy, healthy fats actually provide your body with a concentrated source of energy. Eating more healthy fats (especially as an alternative to processed carbs) may help you feel fuller longer. Every person is an individual, so the things that help you take control over your eating habits may not be the same things that work for someone else. The key is to make a commitment to yourself and then keep renewing that commitment daily. Use natural appetite suppressants. Though taking drugs is not the answer to an overeating problem, there are natural appetite suppressants that may help reduce the urge to snack. High-fiber foods like seeds and legumes as well as flavorful spices like turmeric and cayenne can help curb the appetite. Be more mindful while eating. If you pay more attention to what and how much you are eating, you will be more likely to notice that you are eating too much and, if you are, you have the choice to stop the behavior. Focus on what you are eating and chew your meals carefully. The more slowly you eat, the more likely you are to feel full and satisfied after finishing the meal. Try intermittent fasting. 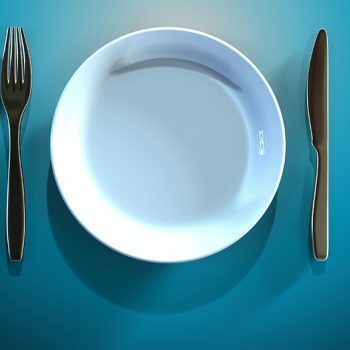 While severe calorie restriction can actually trigger overeating, developing a habit of intermittent fasting can sometimes help you reduce the habit of eating too much between meals. If you only eat during certain hours, you may feel more in control and you’ll make better choices. Incorporate more exercise in your lifestyle. Exercising is the best way to burn calories so, if you do overeat, you won’t do quite so much damage. 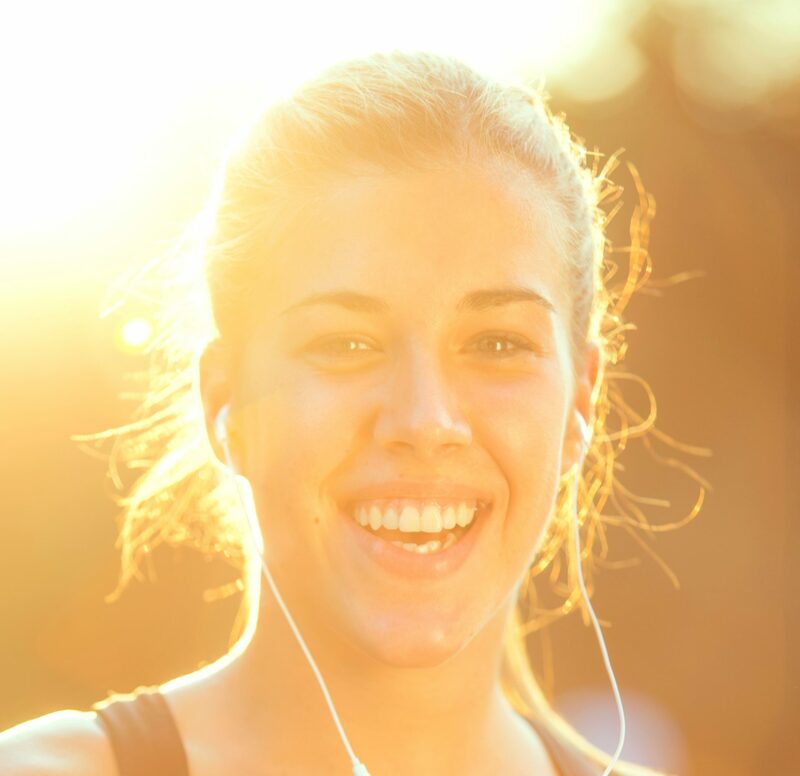 Exercise can also act as an appetite suppressant, according to a 2008 study executed by the American Psychological Society. Get professional help. If all else fails, you may want to seek professional help. There is no shame in asking for help – in fact, it shows that you value yourself enough to do something to improve your habits and your health. Fun Fact: If you have a friend or loved one who struggles with overeating, there may be things you can do to help. The best thing you can do is be supportive. Lend a listening ear if your loved one needs to talk and avoid making judgmental comments. You can also set a good example by practicing healthy habits yourself and invite your friend to join you. If the problem is serious and seems to be impacting your loved one’s life, gently suggest that they seek help and support them if they choose to do so. Summary: Why Should You Be Concerned About Overeating? There is nothing wrong with a little indulgence here and there – a slice of cake on your birthday or an extra glass of wine after a hard week. When eating too much becomes the norm, however, it can wreak havoc on your health and your body. Once you develop a habit of overeating, it can become an automatic response – something you do without realizing that you are going it. This is when it can become dangerous. You might plow through a box of cookies in a single sitting and forget that you’ve done it. So, how do you tackle a problem that doesn’t always seem like a problem? It all starts with being more mindful about your eating habits and then you can start taking steps to counteract the causes for your unhealthy behavior. The sooner you get started, the better. The first thing you need to do if you want to change your eating habits is to learn exactly what those habits are. Keep a food journal for a week, writing down everything you eat (including portion sizes). You should also make note of when and where you eat. Take a look at your food journal and try to determine when and where you tend to overeat. Is it in front of the TV after work? During lunch while you’re at your desk at work? These correlations can help you better understand the problem. Adopt a practice of mindful eating – eat your meals without distractions and try to focus on eating slowly. Pay attention to your body’s cues and stop eating when you stop feeling hungry. 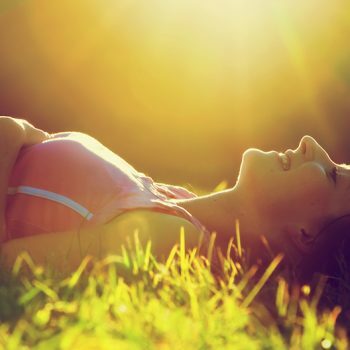 Find another outlet for stress and negative emotions. When you notice a trigger that would normally induce overeating, make a conscious choice to do something else – make it an enjoyable activity so you get the same feeling of satisfaction, just not from food. Changing your habits can be difficult and it isn’t something you can accomplish overnight. By following the steps provided in this article, however, you can identify the problems and triggers that contribute to your overeating and then take steps to correct them. Good luck! Want to learn more about cultivating healthy habits? Check out our article to receive 10 simple tips. 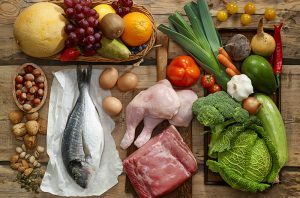 Keto 101: Is the Ketogenic Diet Really the Best for Weight Loss?